You could be doing a whole lot of damage to your tree or landscape if you tend to your tree service in NJ by yourself. How much harm can there be in cutting or removing a tree or a broken branch? You may ask. Actually, a lot. If you make a mistake during pruning, your landscape can look awkward and out of place. 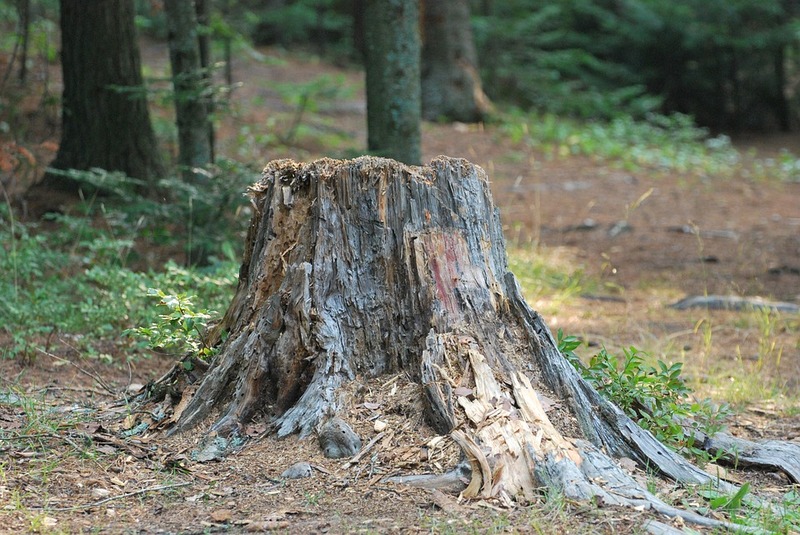 A bad tree removal can leave behind a stump that sticks out like a sore thumb as well as potential home damages. Why do you need a tree service company when you can just do it yourself? Right? For a lot of reasons. 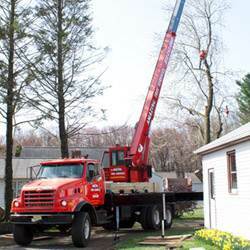 For starters a tree service company comes fully equipped not only with the right equipment to effectively handle your tree service in NJ, but also with well-trained staff who know exactly what they are doing and whose priority is to give you efficient tree maintenance service. Amazing Tree Services is a licensed tree company that specializes in a variety of tree services including, but not limited to, tree removal, pruning, trimming, stump grinding and more. 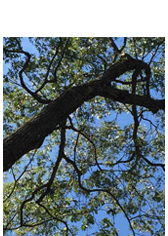 We believe in utilizing safe and effective methods to handle our clients' tree problems. When we offer our services to clients we deliver fully. We don't deliver half done jobs and certainly not poorly done jobs. Our tree experts ensure that all of your needs are met down to the last detail. Our customer satisfaction is our top priority. At Amazing Tree Services, we offer removal of trees by the stump, pruning of trees to reshape them or utilize them in the landscape design, removing old or dead branches, stump grinding to totally remove the stump of a removed tree, diagnose possible pest problems, develop a cost and work plan that utmost suits you. If you are in need of any form of tree service in NJ, feel free to contact our tree experts today! We offer a free estimate for our services, so we can work within your budget needs. 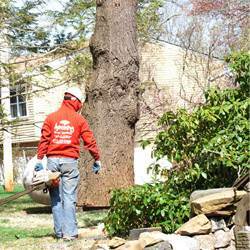 For more information about our tree service in NJ, contact Amazing Tree Services at (973)-343-6868. Apart from their beauty, trees have offered a variety of benefits for people. Such benefits being shelter and shade, as well as absorbing carbon monoxide and releasing oxygen for us to breath. Although trees may appear harmless at times, depending on specific situations, they can actually be more of threat. When such occurrences happen, it is imperative to get help from a tree removal company like Amazing Tree Services. Why Is It Necessary To Remove Trees? Trees, of course, grow older through the years. When they get to a point where they rot away and start to disfigure, they can be dangerous for you and your family. An example would be, if your children or pet was roaming around the yard and a large branch breaks off and falls. You don't want to worry about your family getting hurt in any way. Our tree experts at Amazing Tree Services, are here to perform the necessary and important tree removal services in NJ. Will the Trees be saved? Unlike dying trees, healthy trees can be preserved but maintained so that they're not harmful. Cutting off dead or heavy branches from a tree can not only remove the danger presented, but still allow your tree to grow more healthy. 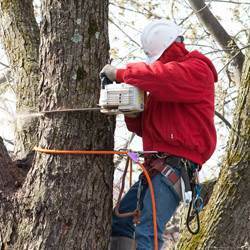 Our tree trimming and pruning services safely remove those rotting and hazardous branches. Can I relocate my tree? Another reason for tree removal services in NJ, is when some homeowners want to transfer a tree from one part of their property to another. Do you happen to want to bring your tree from your old house to your new home? Our tree experts can help with your tree transfer and still keep it healthy and in one piece. What about stump grinding services? 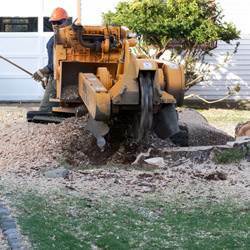 Stump grinding is another job that requires the expertise of a professional tree removal company, like Amazing Tree Services. There are situations where old trees fall or maybe you have chopped down a tree but the stump and roots are still in the ground. Since these are virtually impossible to remove on your own, our skilled professionals can grind the unwanted stump and leave you with an open area to plant new flowers or whatever else you would like. At Amazing Tree Services, we own all of our trucks, cranes, tools and supplies and can handle any job with the utmost efficiency. We work hard to ensure that our customers are satisfied with our tree removal services in NJ. 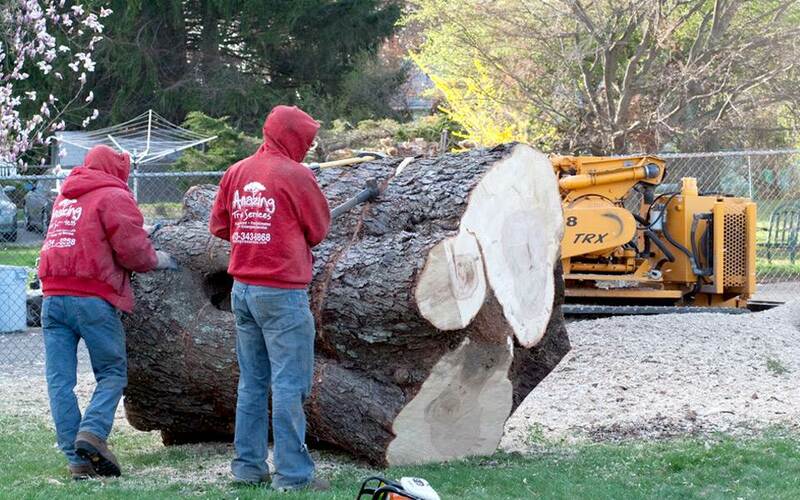 For more information about our tree removal services in NJ, contact Amazing Tree Services at (973) 343-6868. 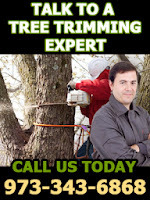 Amazing Tree Services - Your trusted source for Tree Removal Services in NJ. Want to get rid of an extra tree if it’s taking too much of your space? 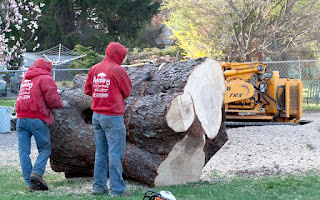 As a tree removal company in NJ, we at Amazing Tree Services are a company of skilled individuals who excel at tree and stump removal, shrub removal, emergency tree removal, land clearing or stump grinding. We provide with all the great services with the right and efficient mix of equipment and man power that will make your gardens and property look wonderful. Not only do we remove the unwanted stump and broken or infectious trees but we also clean the debris and leave no work for you. Often times when you want to expand your property or want to build on it or when one morning you wake up and realize the mess the storm has done in your garden or you see and dying tree, and you are looking for someone to do the job of cleaning it just ring a bell and leave the rest of the job to the professionals. 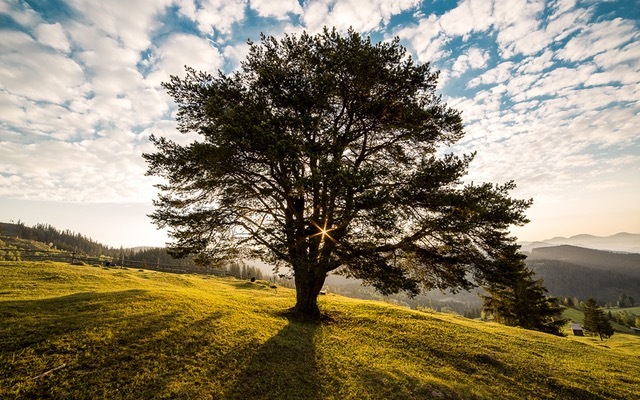 We are not only involved in cutting down the trees we consider our company as environment-friendly having our aim to meet the needs of our customers in an environment-friendly manner. How? Well, a dead tree can be home to a lot of dangerous bacteria and insects which caused the tree to die. However, these insects and bacteria are not only harmful to the tree but it can spread to other trees in the area. Which is why we recommend removal of dead trees as fast as possible to save the later damage. 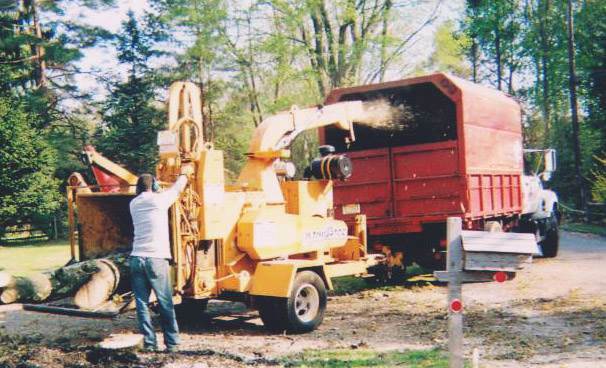 At Amazing Tree Services, our ultimate goal is to provide our clients with a great experience. Our professional staff with the state of the art equipment has the power to handle any job whether hard or easy with great efficiency and competency. We are keen to details and would offer maximum work in reasonable or affordable rates. To learn more about us as a tree removal company in NJ, please call us today at 973-343-6868. One of our tree service experts will be happy to speak to you. Aside from making our yards beautiful, trees are beneficial to the world around us in more than one way. Many homeowners will do what takes to keep their trees are they are dedicated to provide preventive and remedial tree care to keep them as healthy as they can. But in spite of all these efforts, there are some circumstances where trees need to be completely removed. 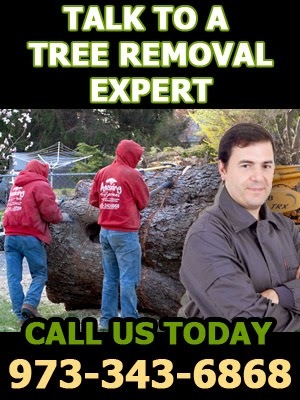 Today we at Amazing Tree Services would like to discuss four distinct times when you need experts to help with tree removal in NJ. 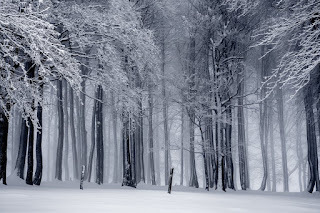 Due to severe weather conditions like winter storms or thunderstorms, trees get damaged. In particular, trees are often damaged by lighting, but other sources of damage may include accidental contact with a vehicle, animals or any bother solid object. 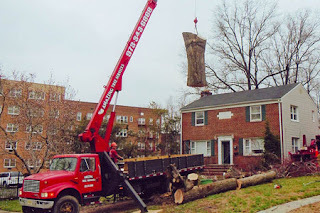 If the tree can recover after you’ve done the evaluation, it’s best to call our tree removal services in NJ to help remove the damaged tree to avoid future accidents. In this case we also provide prompt emergency services. Snow, wind, storm and ice can cause a tree to die. Removal is necessary as a dead tree poses danger to residents. As the tree weakens, it loses the ability to withstand wind and storms. It is easily broken or brought down by the storm which can turn and become fatal. 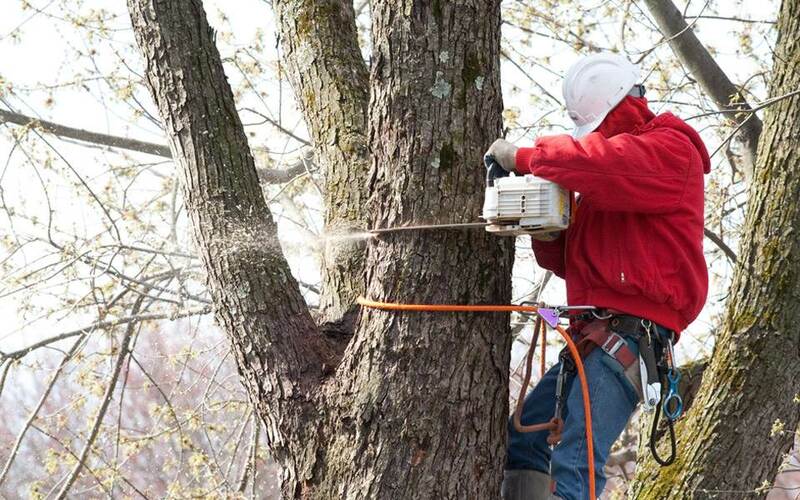 At Amazing Tree Services, our tree removal experts can remove the tree as soon as they are contacted to avoid extensive damage to nearby homes, cars, and people. When planting a tree, it might be in a good location, but as they grow, their effects on the surroundings change. As they grow, their roots may affect the structures built around or near them. They may also grow to obscure views or the branches may get in the way of other utilities such as power lines. We can remove or trim down the branches if the situation turns dangerous. When a tree is hit with some kind of disease and an arborist is unable to heal the tree, removing it from your yard is the safest option. Trees might suffer from a parasite infestation and an arborist can identify the bug or treat it. To avoid further trees, animals or human infestation, let our tree removal experts get rid of the tree. There are also other reasons that lead tree removal in NJ. Some require immediate action and other are less urgent, but you need to contact our tree removal experts for any kind of tree trimming and removal. To learn more about us at Amazing Tree Services, please call us at 973-343-6868. One of our tree experts will be happy to speak to you. Trees are part of our landscape and contribute towards relaxed and welcoming spaces. However, they need proper care to grow well and avoid being safety risks. 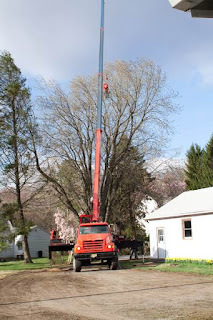 During the growth period of the tree and eventual removal, there are many instances where we at Amazing Tree Service can be of great help for tree services in NJ. As the tree grows, it requires nutrients and care. You can have the us maintain your trees through their growth phase. This is convenient especially if you do not have time to take care of your young trees. Usually, caring for the plants includes watering them, replacing those that have died from disease, application of fertilizers and dealing with pests. You may notice that your tree is diseased by drying up of some of its branches, withering leaves, a dying stem or stunted growth for the growing plants. A disease may spread to the rest of the trees if it is not treated in time. Our tree care professionals have the knowledge to identify different tree diseases and treat them effectively. If you would like to shape your tree to look good or spread the shade, you need to have it pruned regularly as it grows. Moreover, pruning is important to prevent branches from extending to power lines, onto the road, or on top of the houses. The tree should also be trimmed to prevent them from growing very tall and becoming unmanageable. Removal of the apical growth also enables the tree to grow horizontally. Removal of the trees is necessary if the tree has died or you would like to use the area for some other purpose. Due to the sheer size of most trees, it is not safe to cut it down yourself. There are chances that you may cause damage to the adjacent property or injure people around you. We also offer emergency tree removal service for a tree that has fallen unexpectedly due to a mudslide, foul weather or after becoming diseased. If you have already removed the tree and need to use the area, you can have the stump removed. 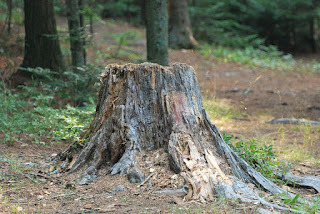 Tree stumps can grow to several meters below the ground. Therefore, you require specialists to dig up the soil around them and then have it removed. To learn more about about our tree services in NJ, please call us today at 973-343-6868. 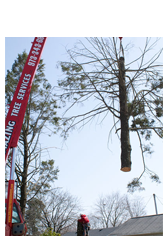 One of our tree service experts at Amazing Tree Services will be happy to speak to you. Before, it used to be hell on earth when trying to remove unwanted trees in an environment. The risk it poses and other danger makes it a dangerous task to attempt. However nowadays, the advent of professional tree removing service has been relentlessly helping home owners get rid of unwanted tree in their environment without stress. Not all trees pose threat but when you discover a tree is obstructing the conduciveness of your home, don’t hesitate to opt for a tree removal expert from Amazing Tree Services to help you get rid of it effectively. There are some benefits you derive when you call for our tree removal in NJ. You save time: You spend a lot of time of productive hours when removing large or middle size unwanted trees especially when you do not have the skill and required tools. The work tends to be more complex and time consuming which you may still needs the help of an expert. Hiring a reputed company having much experience in pruning or removing a tree completely will save your time and reduce your effort of cleaning up after removal. You save money: Using tree removing service gives you a great value for money. You can save yourself from unavoidable expenses of cleaning your landscape after removal if you opt for the service of a professional tree remover. Broken branches and leaves can sometimes pose a threat to the structures of your house which may result to you incurring unplanned expenses; however, hiring a professional will save you the repair cost and give you a safe and healthy environment. It prevents injuries: There is no way you can impede family members especially children from playing around trees in the house. Old overgrown trees may pose a threat of falling branches, littering the environment and other awful allergies. You can cut down the branches or get the tree removed. Getting a professional tree removing company who is equipped to do the job will prevent you from possible damage and ensure a conducive environment for family members. Prevent unforeseen damage: Research shows that old rooted tree tends to weaken the base of your house. Even if one does not know the implication of this, it could affect the house, driveways, and other structures. Tree services on regular intervals ensure safety of your house and other structures by checking the damage caused by overgrowing trees. Keeps Things Cleaner: Pests and rodents makes the overgrown large trees its’ house. Also, overgrown old trees tend to shed more leaves which create a mess in your landscape and brings about an unpleasant look. You can avoid all these problems by getting a professional tree remover to get rid of the old unwanted trees removed or trimmed them to enhance the overall look of your landscape. 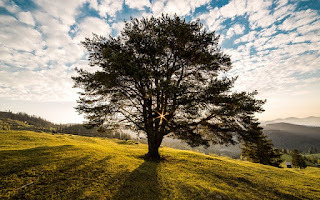 As a reputable tree service company we are able to effectively service you in all these areas and provide helpful notes on how to replace old trees and to avoid any environmental consequences thus help you save time, money and ensure the safety of your family. For more information about Amazing Tree Services or to learn more about tree removal in NJ, please call us today at 973-343-6868. One of our tree experts will be happy to speak to you. Owning an expanse of land grands many options and building possibilities. For one thing thing you could start a community garden or build something on it. If you're considering the latter but there are many trees on your lot, you're going to need lot clearing in NJ. We at Amazing Tree Services have been clearing lots in NJ since the very beginning. On today's blog we'd like to discuss what lot clearing entails. First and foremost, there's the phone call. One of our tree experts will be there to answer your questions and assess your concerns. Then they will schedule a time to come over to the property for your free on site estimate. The estimate will be based on the number of trees or shrubs you want cleared, the equipment that may need to be brought in, and the manpower. When you have the free estimate and decide to move forward, we can get started on the actual lot clearing. This will involve specialized machines to be brought on to your property. Each machine is there for a reason and is very capable of completing it's job. You may choose to supervise our crew although that will not be necessary as they are trained, highly skilled, insured and experienced workers. Tree trimming: this is for the trees you want to keep on your lot. What we do is trim away dead or dying branches and make the tree more aesthetically pleasing. 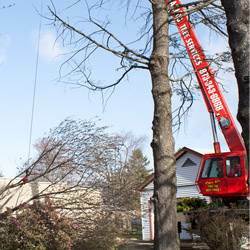 Tree removal: this involves cutting the entire tree down and hauling it away with the help of our machines such as cranes. Stump grinding: when we grind the stump of a tree into the ground, it insures that the stump and the tree will not grow back. On every job our crew will work efficiently to complete it. And afterwards we will clean up after ourselves, leaving your property free of debris. 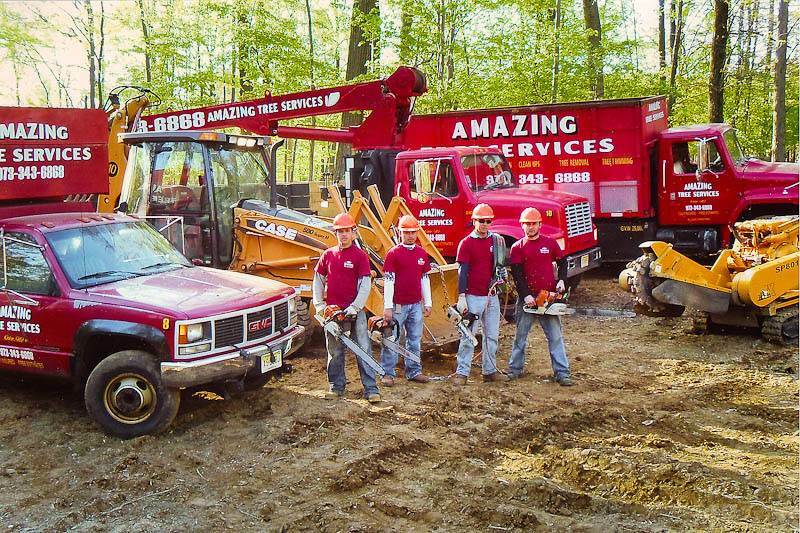 To learn more about our lot clearing in NJ, please call us at Amazing Tree Services at 973-343-6868. 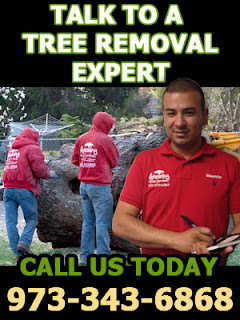 One of our tree experts will be happy to speak to you. New Jersey is home to a great variety of beautiful trees and many of you are lucky enough to have some in your yards. Properly managed trees can increase a property's appeal and value. However, maintaining trees requires time and equipment many homeowners do not have. Apart from that, some homeowners do not have sufficient tree maintenance knowledge. 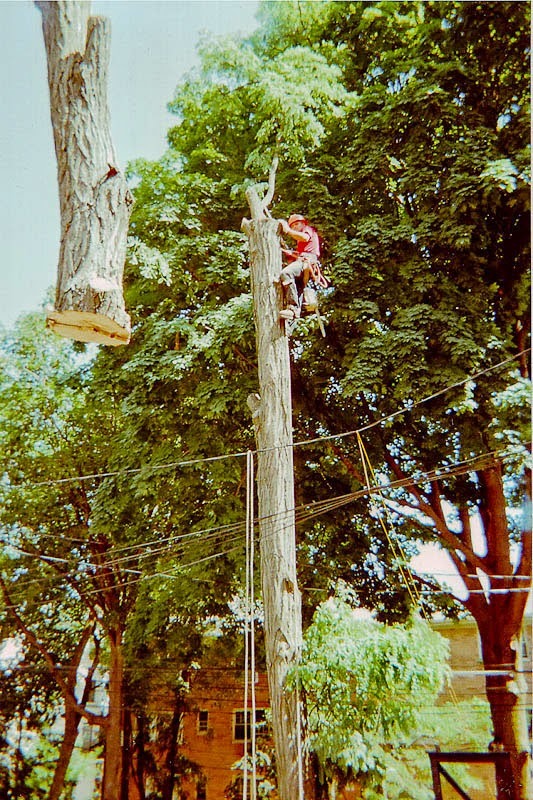 Because of this, more and more homeowners opt for the services of experts and, of course, hiring the right tree service in NJ can provide you with amazing results. Trees not only provide us the clean fresh air that we breathe but also with beauty and shade. If you have trees at home that you want to preserve, you can do so by hiring a good tree service. A good tree service provider has the knowledge to understand when it is best to save trees, trim them, prune them, or remove them. Another reason to work with a tree service provider is to ensure tree health. 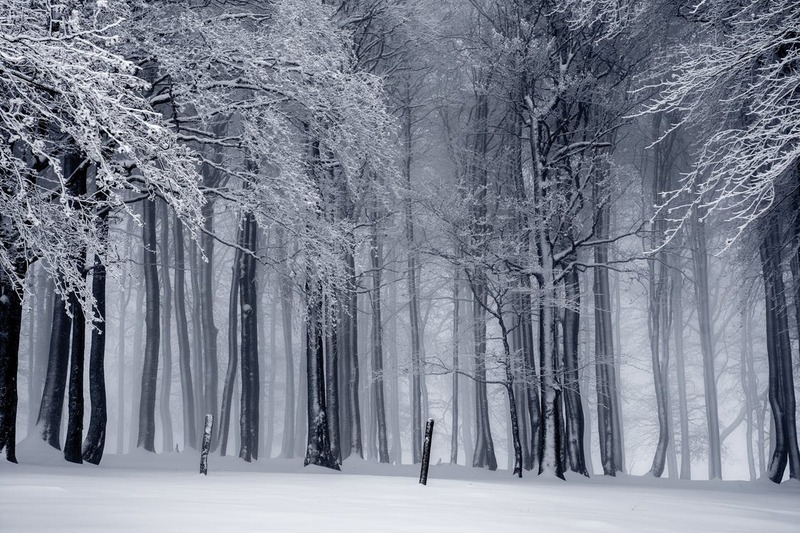 Like humans, trees can experience diseases and injuries due to the unstable weather conditions. Because of this, a tree's health and appearance suffer easily. By working with tree service providers, these issues can be mitigated by selective pruning and trimming. Maintaining trees properly and efficiently is another reason to get tree services. Of course, as owners, you water, trim and apply fertilizers but trees also have essential needs. And, service providers can offer trees the right solution they need. Taking the use of pesticides you will opt for as someone without the knowledge of tree care, an expert in tree service may rather opt for micro-trunk injections to help trees in treating pests easily. Tree service in NJ also includes tree removal. A good tree care service will know how to handle a dead, decaying, or dangerous tree in an area. This can be done by cutting down the old tree, collecting it, and then removing the stump from the area or grinding it down. Now you see this type of service can help to keep it so you will have an easier time removing or preserving a tree on your property. To learn more about our offerings for tree service in NJ, call Amazing Tree Service at (973)343-6868. 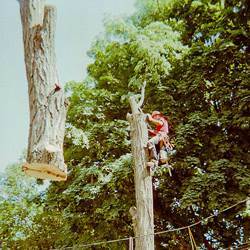 Amazing Tree Services, you trusted Tree Service in NJ.